Challenge: The K-8 Paulden (AZ) Community School has no IT staff and limited administrative support. When it created a room filled with Internet-connected computers and curriculum-based programs, the room had to have a simple, user-friendly design, with solutions in place to minimize downtime. Solution: The district installed a combination of technologies, including NComputing L300 network access devices, 28 17-inch, ViewSonic VG732m LC D monitors, and Toshiba Satellite Pro L510 laptops for the teachers. 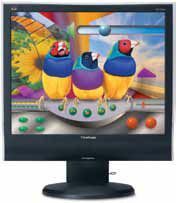 The ViewSonic monitors deliver data, audio, graphics, and video content, advanced ergonomic functions, and integrated stereo speakers for a rich multimedia experience. “I’m really happy because the monitors are a nice size for the students,” says Jim Sexton, executive director at Paulden Community School. Challenge: The Nova Scotia Department of Education in Canada was concerned about the environmental impact of using projectors with lamps instead of those with lamp-free, LED technology. Challenge: The Birmingham (MI) Public School District was looking for clear paging, schedule bells, and message announcements in all 15 of its buildings, as well as the ability to deliver emergency messages when needed. Solution: The Vocia paging system from Biamp Systems allows for unified communications across 15 different buildings in the district. The audio system is easy to operate and maintain, and satisfies the district’s audio requirements and needs. “Our confidence in Vocia was confirmed the first week of school when people could really hear the difference in the bells and announcements,” says Joseph Hoffman, executive director of technology for Birmingham Public Schools. Challenge: Technology leaders at Lee County (FL) Public Schools needed to overhaul their audiovisual technology because the ceiling speaker and component amplifier systems required widespread support and troubleshooting. Solution: The district selected the Epson AP-60 Project Sound Solution for its simplicity of design, functionality, and easy installation. “Centrally located in the classroom for better sound, the AP-60 comes with all we need for a new or retrofit installation with a ceilingmounted projector,” says Derek Carnwath, coordinator of IT projects and operations at Lee County Public Schools. “Since we’re standardized with Epson projectors, we could easily integrate it into our installation process with no additional drilling, cutting, or cabling.” The fully-integrated Epson sound system consists of four speakers for 360 degrees of sound and 60 watts of amplification—all in a single unit. The system includes an infrared wireless microphone for teachers and students to be heard throughout the room. Challenge: The principal at John Marshall High School in Rochester (NY) wanted to be able to speak over the commotion of excited students, which overwhelmed the cafeteria. He also wanted to be able to play music over the system. Solution: He chose a high-performance system centered on an Ashly Pema 4125 integrated processor/amplifier combo and an Ashly RD-8C remote fader user interface. System inputs include a pair of Mipro handheld wireless microphones, a wired mic, a tuner, and a Tascam combination CD player and iPod dock. Challenge: Robinswood Middle School math teachers in Orlando, FL, were challenged to improve the state-based FCAT test scores for some of the lowest-performing students in the state, as well as implement all of the new Marzanno evaluation components that were being required to meet the “Race To The Top” standards. Solution: After many trials and errors, they turned to Turning Technologies’ ResponseCard clickers. “All we had to do was set up daily contests with the students and reward the individuals and teams who scored the best on their daily lessons. It was amazing how excited the kids got when we started to compete,” said Eric Schwalbach, 6th grade math teacher. The end result was four math teachers had Highly Effective FCAT scores for their students. The school was also in the top five in the state for students with the same demographics. The teachers even received several Innovative scores on their assessments because they were surpassing the Marzanno assessments requirements. Challenge: Patrick Healy, Science Coordinator at St. James the Apostle in Glen Ellyn, IL, was looking for an engaging way to blend technology into a variety of programs at his school. Solution: Healey arranged to have an LG EzSign TV installed in the lobby of the school. He began by choosing a simple welcome message from more than 50 templates. He then encouraged the art program to include digital copies of artwork for a slideshow display on the sign. In the fall, Healy plans to set up an extra-curricular club of eighth graders to help him build and update templates on a regular basis. This journalism program will combine a daily announcement student newscast with the billboards students will create. Students will develop the “St. James Newscast” themselves, burn it to DVDs, and play it regularly alongside advertisements for local businesses that support St. James the Apostle’s charity organizations. Challenge: Hall County (GA ) Schools was looking to create a state-of-the-art, collaborative learning environment featuring commercial displays and interactive whiteboards at its Academies of Discovery, which houses two schools. Solution: The district turned to Samsung and dB Audio & Video, which equipped various areas with several 55-inch Samsung MD Series displays, allowing groups of up to 16 students to connect their mobile devices so that they could display their work and collaborate. There is also a video wall, made up of nine Samsung UD Series displays. More than 40 classrooms received Samsung’s 65-inch whiteboard solution, the ME65B display. “LED large-format displays were the perfect solution for our needs, as they allow our students to work together in a much more direct and engaging way, providing exceptional visual and audio quality, in addition to helping us reduce our energy consumption and lower our total cost of ownership. This was a win for both our educational objectives and our bottom line,” says Aaron Turpin, executive director of technology at Hall County Schools. Challenge: San Lorenzo High School in California wanted to have a “real” PA system and stop relying on outdated field horns for sporting, music, and other events in its outdoor campus stadium. Solution: The school installed a Technomad Turnkey PA system that includes four weatherproof loudspeakers and a complete, prewired, signal processing equipment rack. The Technomad Noho weatherproof loudspeakers generate a very broad and smooth response. Challenge: Before installing HD cameras to feed the scoreboard in the new gym, Webster City High School in Iowa had to upgrade its broadcast studios to support high-definition video. Solution: To upgrade the on-site TV production studio, the district turned to Alpha Video, a company who recommended a Broadcast Pix 1000 video control center, a Black Magic VideoHub router, and three AJA HD/SD video converters. Once those upgrades were done, the school installed three Panasonic HD PTZ AW -HE120L cameras, four Panasonic HD PTZ AW -HE50S cameras, and a NewTek 3Play 330 slow-motion and instant-replay system.